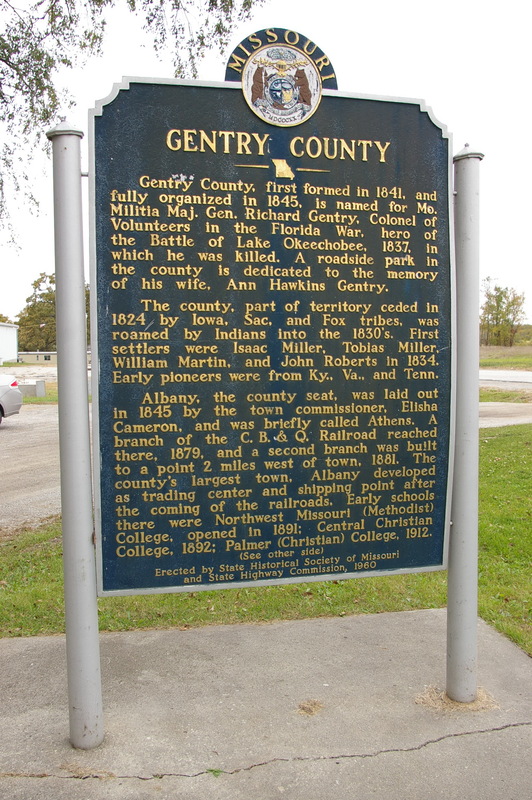 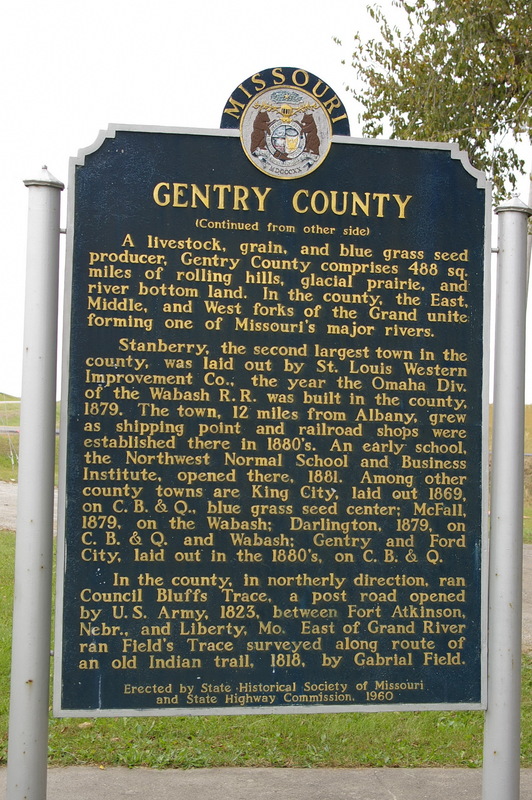 Gentry County is named for Richard Gentry, who was from Boone County in Missouri and who was a soldier in the Seminole War of 1837. Description: The building faces south and is a three story red colored brick and stone structure. 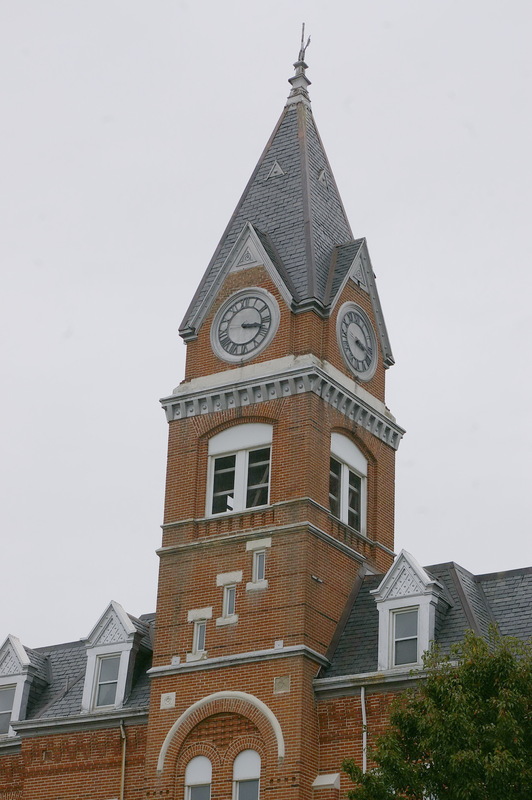 The building has a large square tower with large arch at the first story entrance and rising to a clock with peaked roof above. 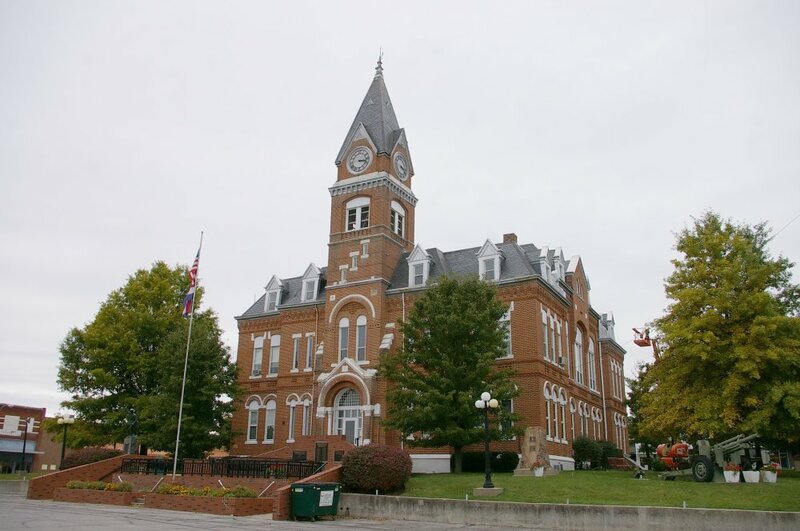 There is a mansard roof with dormers with bracketed eaves and decorative arched drip molding. 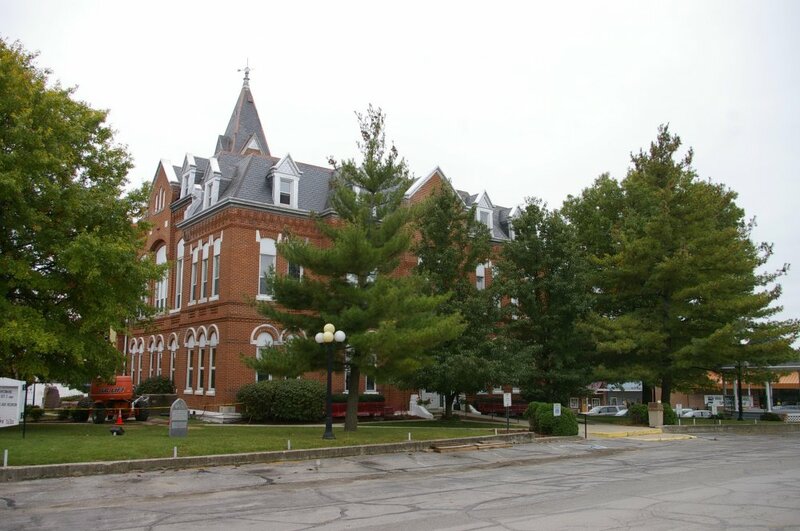 The east and west wings project from the main building. There are dormers on the third story. Note: The first courthouse was built under the supervision of Isaac Cameron in 1845. 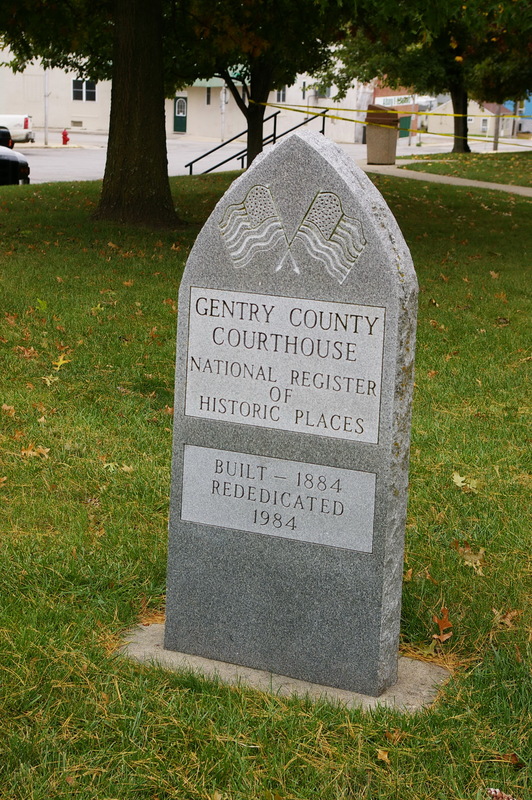 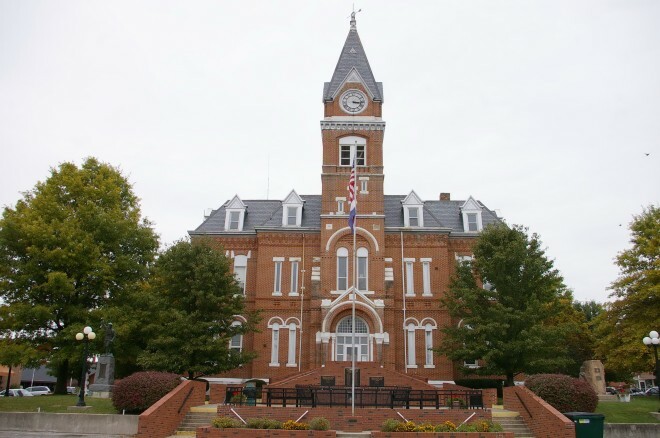 The second courthouse was built by George H Mosley in 1853 to 1855 at a cost of #6,000. 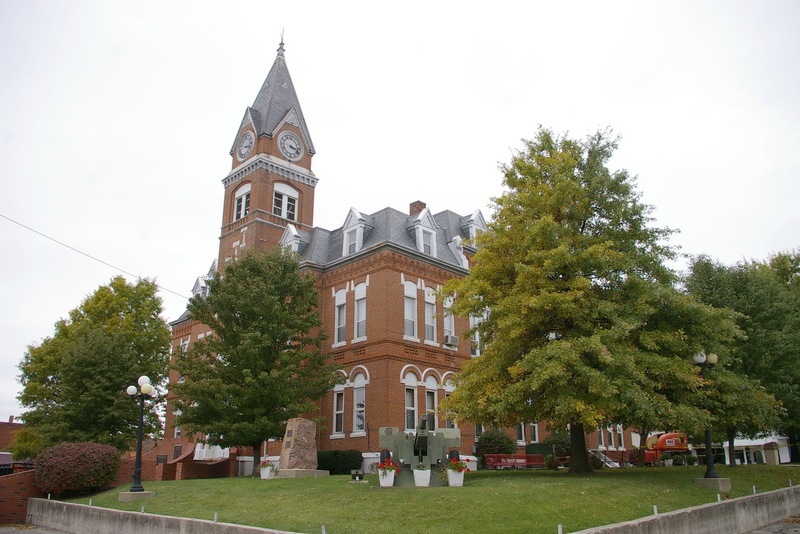 The cost of construction of the present courthouse was $29,100.